The 15,329 kilometre flight from Singapore to Newark, New Jersey will eclipse the Qatar Airways flight from Doha to Auckland as the world's longest. 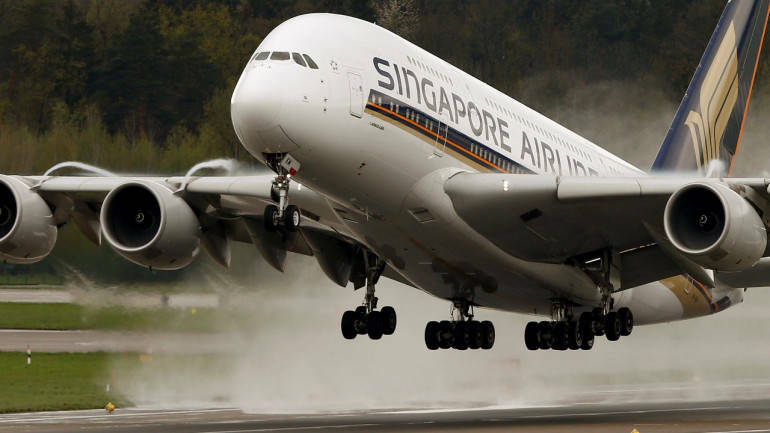 Singapore Airlines Ltd said it would launch the world's longest commercial flight in October, a near-19 hour non-stop journey from Singapore to the New York area. The 8,277 nautical mile (15,329 kilometre) flight from Singapore to Newark, New Jersey with 161 business class and premium economy seats will eclipse the 7,843 nautical mile Qatar Airways flight from Doha to Auckland as the world's longest, according to airline data provider OAG. Airlines including Singapore Airlines, Australia's Qantas Airways Ltd and U.S.-based United Continental Holdings Inc are adding ultra-long haul flights that can capture an airfare premium of around 20 percent versus flights involving one or more stops. Singapore Airlines is Airbus' first and to date only customer for the A350-900ULR, an ultra-long range version of the fuel-efficient twin-engine A350 jet. Qantas has said it is considering the purchase of the A350-900ULR or Boeing Co's 777X to allow it to fly non-stop from Sydney to London from 2022, an even longer 9,200 nautical mile journey.